Fox’s Biscuits employs over 3,000 people. An extensive own-label producer, it is best known for the Rocky and Party Rings biscuits. Michael Spedding (1834 – 1927) was born into humble beginnings at Marsh, Huddersfield in Yorkshire. He received just three months of schooling, as well as some Sunday school teaching. By the age of 13 he was working at a cotton mill in Meltham. With encouragement from his grandfather he walked to Batley to find work. He was poor, and would sometimes spend nights in barns. Spedding married Susan Fox (1834 – 1895), the daughter of a bone setter, in 1854. Spedding established himself as a food seller from 1863. Eventually he began to concentrate on the confectionery trade, with a focus on brandy snap biscuits. Spedding took over the bone setting business of his father in law in 1877. Spedding had been joined in business by his daughter Hannah and his son in law Fred Ellis Fox (1871 – 1938) by 1891. The firm began to trade as F E Fox & Co from 1897, and Spedding retired in 1900. Brandy snaps continued to be the major product. F E Fox was joined by his son, Michael Spedding Fox (1896 – 1963), and the firm began to trade as F E Fox & Son. F E Fox & Son relocated to a new site at Batley in 1927. Michael Spedding died in 1927 as one of the oldest men in his district. F E Fox & Son was incorporated as a private company in 1938. F E Fox died in 1938 and left an estate valued at £19,243. Michael Spedding Fox became managing director of the company. F E Fox & Son Ltd had around 500 employees by 1955. F E Fox & Son won a valuable contract to produce biscuits for Marks & Spencer in 1958. The contract accounted for half of all production. F E Fox & Son required capital to fulfil its ambitions of becoming a nationally recognised company. The firm went public in 1960 as Fox’s Biscuits with an authorised share capital of £400,000. There were around 950 employees. Parkinson’s Biscuits of Kirkham, Preston was acquired in 1966. J Lyons & Co held a 25 percent stake in the company by 1974. Fox’s Biscuits was acquired by Northern Foods in 1977. Following the merger of their interests, Northern Foods supplied Marks & Spencer with around 40 percent of its cake and biscuits. Alfred Henry Fox died in 1977 with an estate valued at £124,375. Fox’s Biscuits had emerged as one of the strongest brands at Northern Foods by the 1980s. 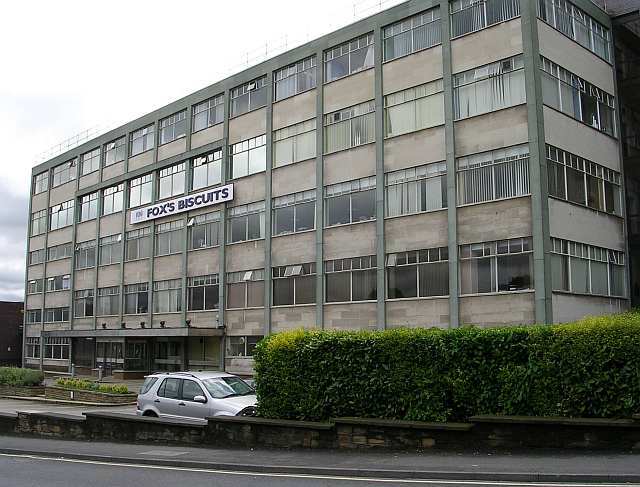 Fox’s Biscuits employed over 2,000 people by 1986. Elkes Biscuits of Uttoxeter was acquired in 1987. Northern Foods invested £20 million to increase production at Fox’s biscuits in 1987. 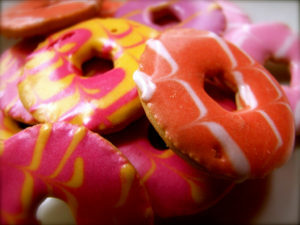 Fox’s Biscuits was best known for its Rocky and Party Rings biscuits by the 1990s. Northern Foods was acquired by 2 Sisters Food Group in 2011. The non-core Fox’s Biscuits business was identified as a potential divestment for 2 Sisters in 2016, with an estimated sale price of £250 million. There are three Fox’s Biscuits factories as of 2017, located at Uttoxeter, Batley and Kirkham near Preston. The division employs over 3,000 people. The company has a large contract and own-label business, producing Farley’s Rusks for Heinz, for example. Reports emerged in 2017 that Fox’s might be merged with Burton Foods, but ultimately nothing came of it. The Elkes brand is still used by Fox’s Biscuits to market its budget range of biscuits.